This listing is for a set of two original mixed media, beach acrylic paintings on canvas. 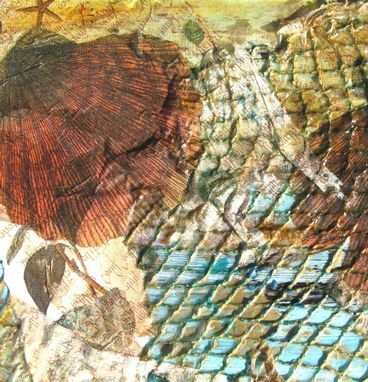 Acrylic painting on canvas is combined with several layers of textures and found, vintage like papers and mediums to create a painted collage effect. 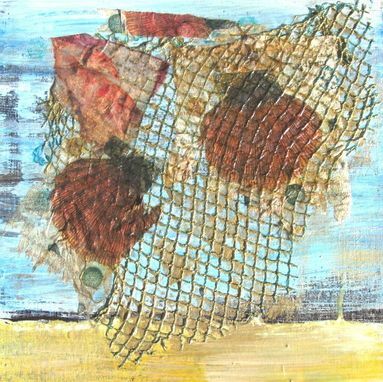 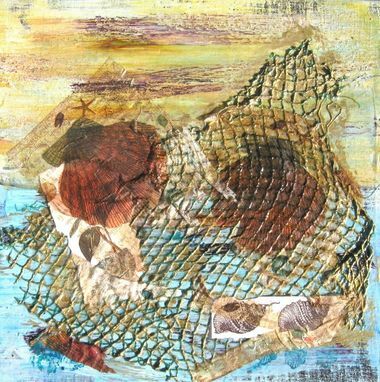 Each painting has different beach elements...netting, and shell images, brought together by the metallic golds, blues and many layers of glossy varnish in each design. 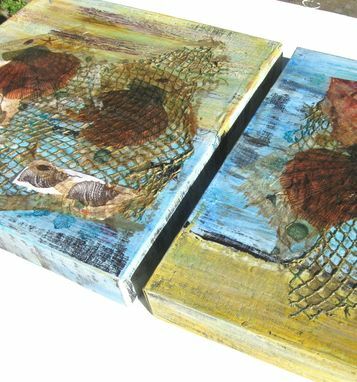 Each gallery wrapped canvas measures 12"x12"x1.5". 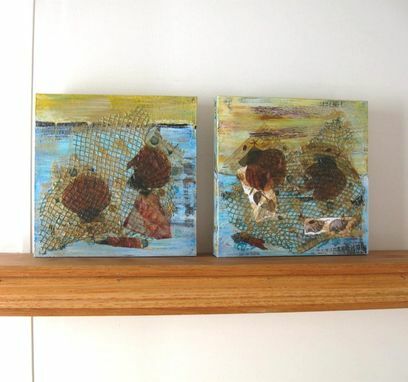 All four sides have been painted so no framing is necessary.